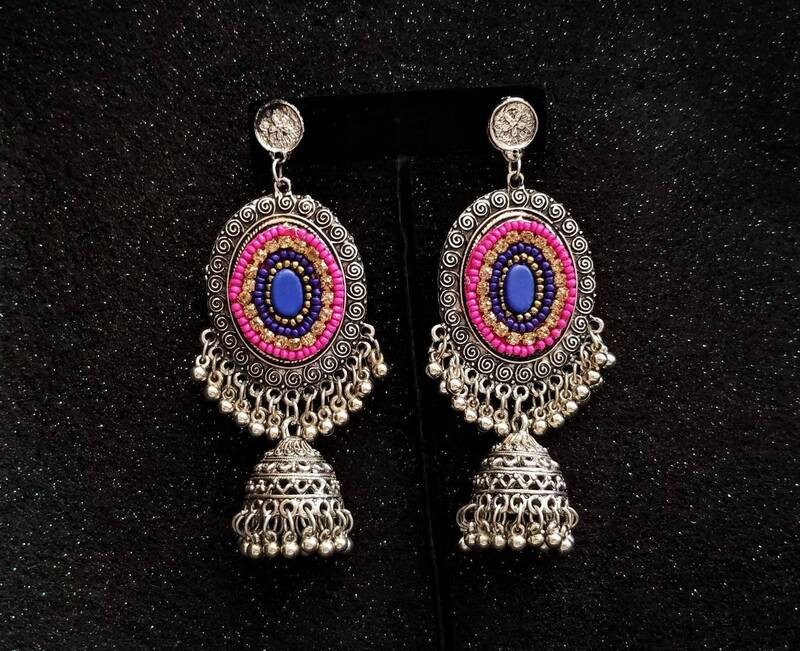 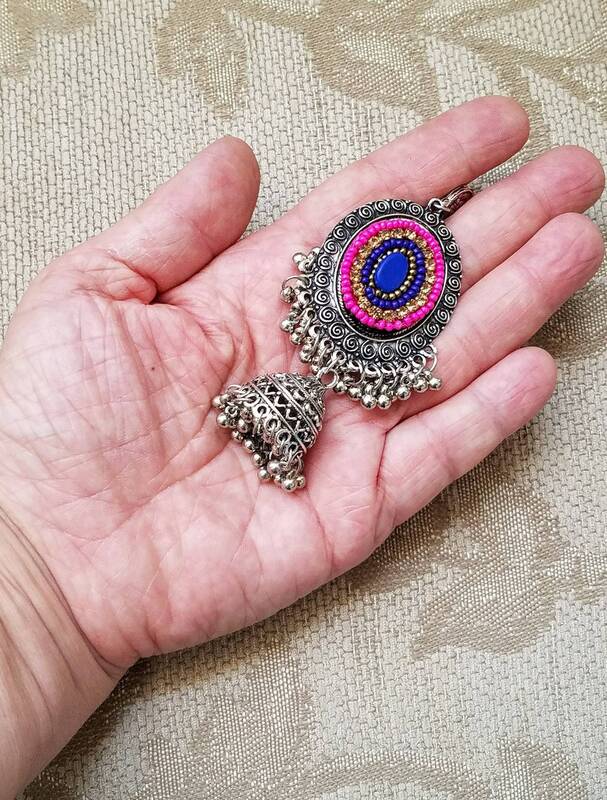 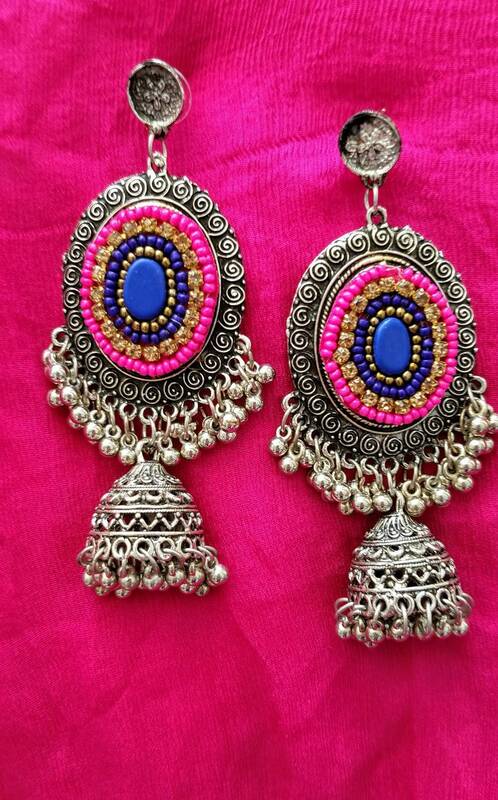 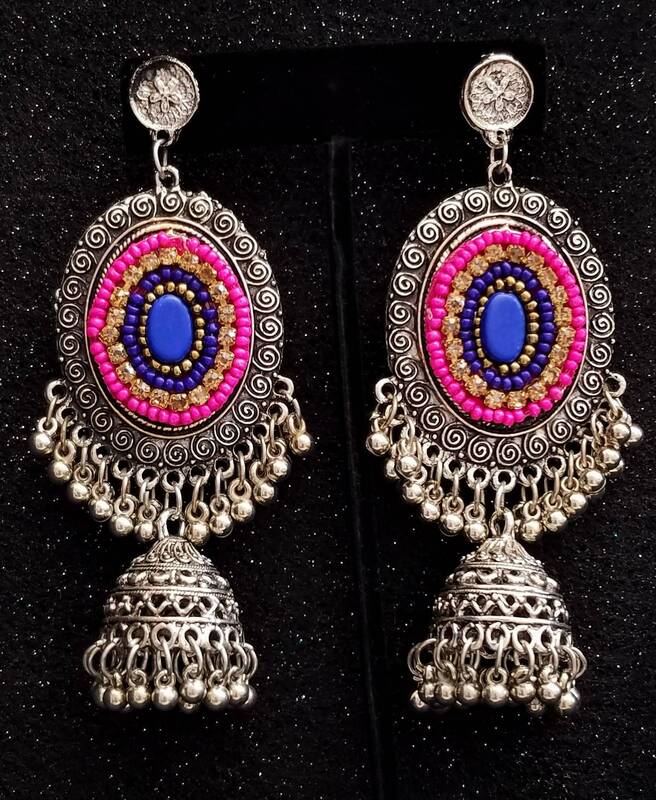 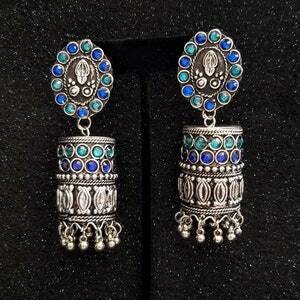 Turn heads wearing these gorgeous hand crafted pink boho earrings in oxidized silver color, so at to create the patina of a vintage tribal piece. 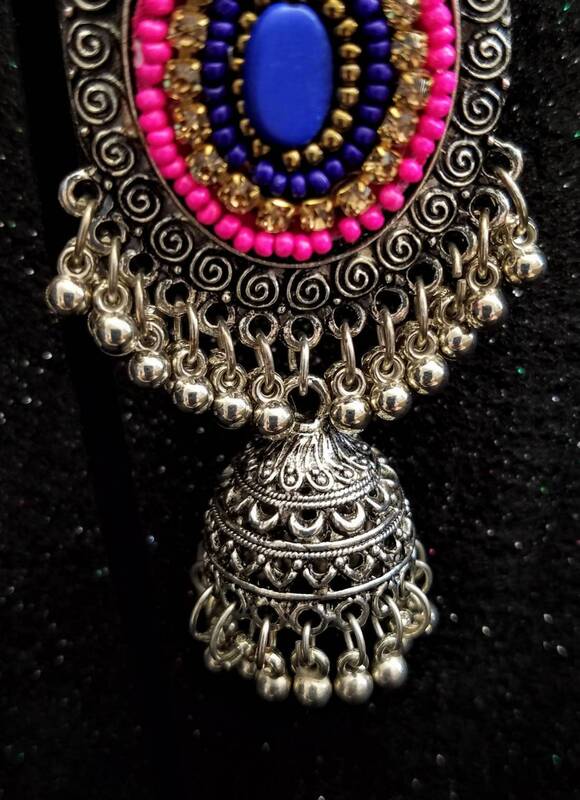 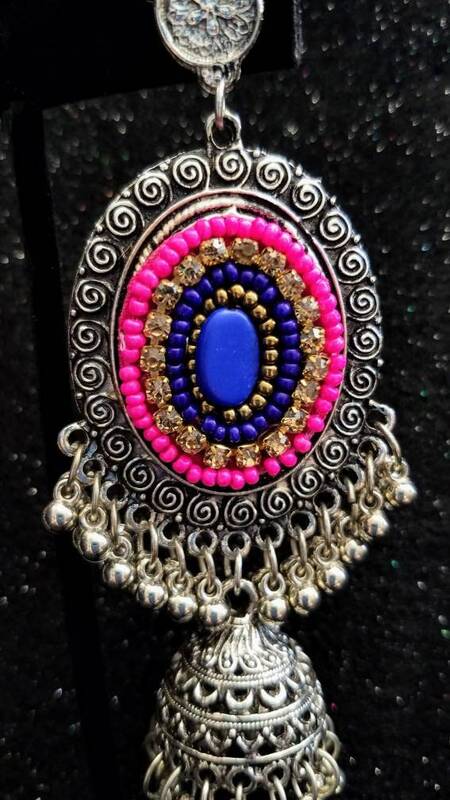 Updated, modern design, with blue, antique gold and pink beads, and antique gold colored crystals surrounding a central blue medallion. 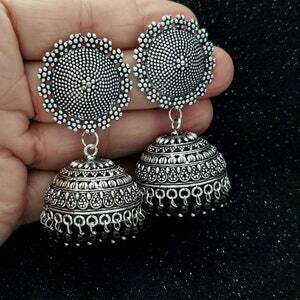 Detailed and precise little vortexes, like winds, around the border, that create energy and movement. 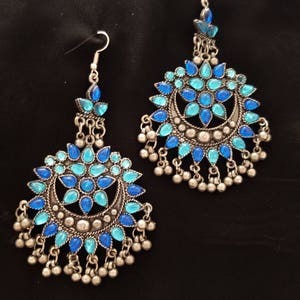 Lots of dangly bells, in a brighter, shinier silver color. 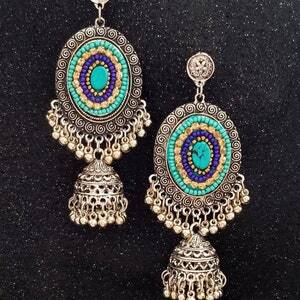 Goes with any summer outfit! 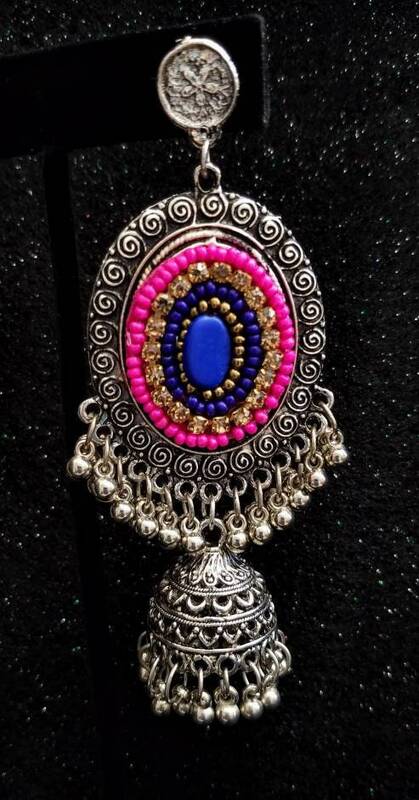 Very eye catching!